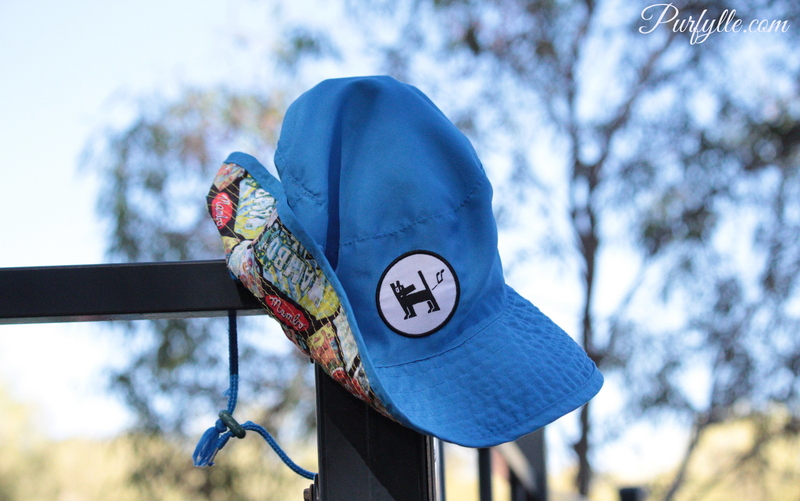 A few weeks ago we stumbled across an awfully cute little hat on the ground behind a seat bench along our river walk. The walk has a car park at either end and this bench was pretty much at the half way point. 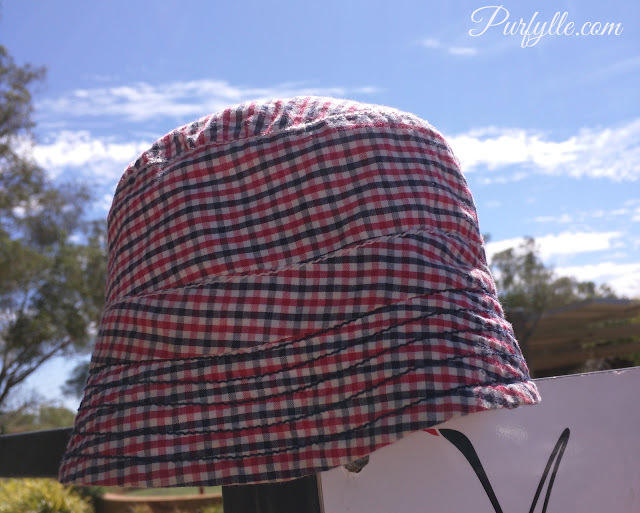 It is unusual for walkers with young children to make it that far from either end, as such it was rather a surprise to discover this cute little gingham hat so far along the path. I figured any parent of a youngster small enough to fit this little hat would not be coming back all this way for it and if I had to guess they would have used the car park with the children's playground next to it, which as luck would have it was the one we had decided to use that day. I carried the little hat back and debated just what to do with it, should I leave the hat in the playground? Or at it's entrance in the hope a parent would recognise the hat? Or should it be made visible from the pathway? In the end I left it on the corner of the playground fence where it would be visible from the path if not as obvious to all the parents in the playground. That little gingham hat looked so cute and picturesque that on a whim I took a photo of it with my phone. The following week it was no longer on the pole. 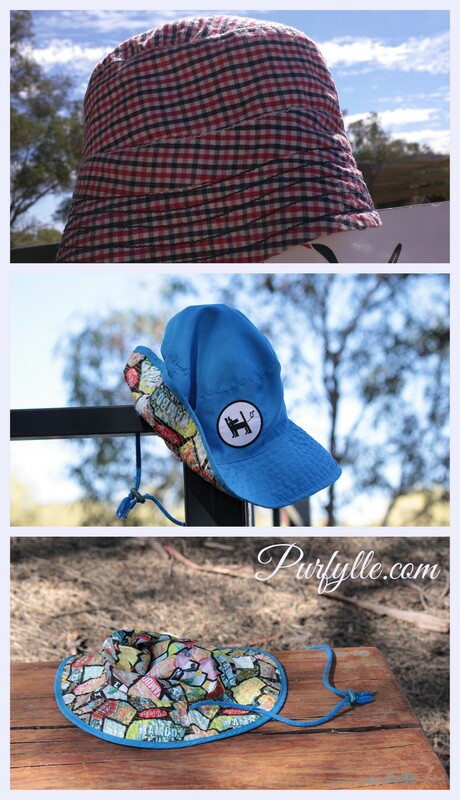 Last week we found another cute little hat abandoned on another bench, much closer to the playground end this time. 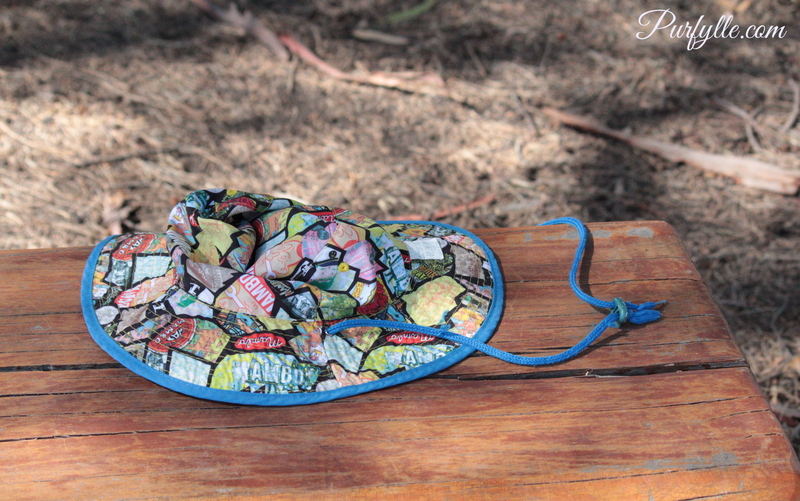 The colourful lining is my favourite part of this fab little sun hat. I just had to get some in-situ photos. And of course it went to the same pole, where it could be seen from the playground or the walking path. I wonder what happened to them? I wonder if a mum found them or if a council worker collects lost property? I hope they weren't just blown away in the wind. Not knowing the end of a story drives me crazy. Do you think they found a head to keep shady? I'd like to think someone collected them or they went to a good home. such pretty hats, they must be kids like mine prone to throwing them on the floor when you're not looking! They make a lovely photo. That's so funny - I always wonder too what happens to lost hats/mittens hung on fenceposts if no one ever comes back to claim them! Good for you for rescuing the hats! I see so many people just walk on by such things without a care. I hope they found their owners again... Playgrounds ought to have little lost-and-found boxes! Maybe they joined the lost socks in the alternate universe?? 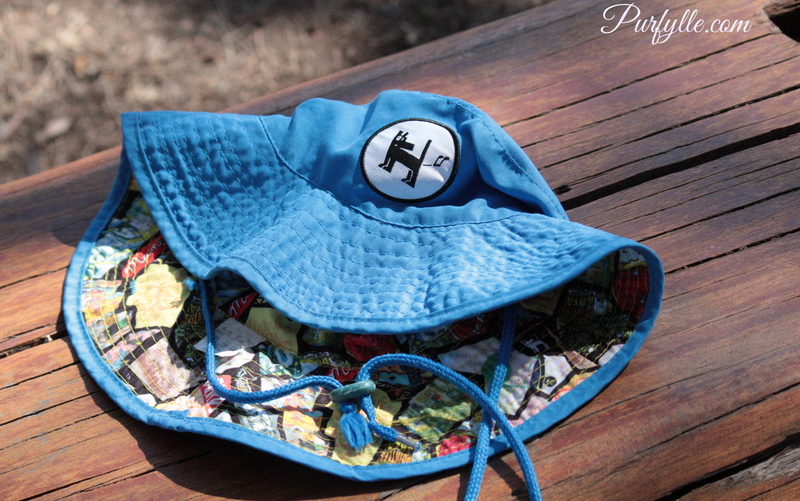 Love the lining of the blue one!